When people talk about death due to Coke addiction I think we all naturally assume the Coke being spoken about is cocaine, however, the BBC is now reporting how Coca-Cola drinking has been ‘linked to New Zealander’s death’. Drinking large quantities of Coca-Cola was a “substantial factor” in the death of a 30-year-old woman in New Zealand, a coroner has said. Coca-Cola had argued that it could not be proved its product had contributed to Ms Harris’ death. The coroner’s verdict came on the day Coca-Cola Sales said sales in Europe and China fell in the last quarter of 2012, and warned of a “volatile” year to come. Natasha Harris, a mother of eight from the southern New Zealand city of Invercargill, suffered from ill health for years before her death. 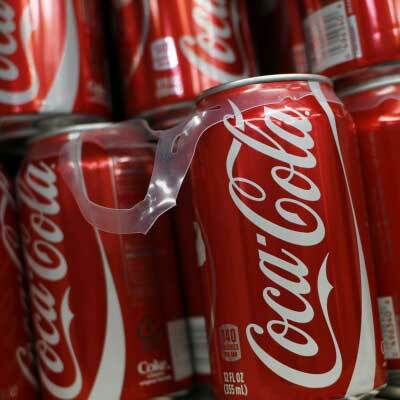 Her family said she had developed an addiction to Coca-Cola and would get withdrawal symptoms, including “the shakes”, if she went without her favourite drink. “(She would) go crazy if she ran out… she would get the shakes, withdrawal symptoms, be angry, on edge and snappy,” her mother-in-law Vivien Hodgkinson told the coroner’s inquest last year. Ms Harris drank Coke throughout her waking hours and her teeth had been removed because of decay. “I find that when all the available evidence is considered, were it not for the consumption of very large quantities of Coke by Natasha Harris, it is unlikely that she would have died when she died and how she died,” Mr Crerar’s finding said. The coroner calculated that drinking 10 litres (17.5 pints) of Coke amounted to more than 1kg (2.2lb) of sugar and 970mg of caffeine, Television New Zealand (TVNZ) reports. Mr Crerar said that Coca-Cola could not be held responsible for the health of consumers who drank excessive quantities of its product. Ms Harris and her family should have heeded the warning signs about her ill health, the coroner added. “The fact she had her teeth extracted several years before her death because of what her family believed was Coke-induced tooth decay, and the fact that one or more of her children were born without enamel on their teeth, should have been treated by her, and by her family, as a warning,” TVNZ quotes his statement as saying. In a statement, Coca Cola said: “The coroner acknowledged that he could not be certain what caused Ms Harris’ heart attack. “Therefore we are disappointed that the coroner has chosen to focus on the combination of Ms Harris’ excessive consumption of Coca-Cola, together with other health and lifestyle factors, as the probable cause of her death.